Almost a month ago now, terrible fires devestated communites just to the north of us here in the Bay Area. Though the fires were fifty miles away, we woke to the smell of smoke so strong it felt like it was in our own backyard. During that week, my kids' school in the East Bay closed due to the dangerous air quality. I answered their questions about the fires, calmed their fears, and we gathered donations to send north. My son Walt, being the deeply empathetic 7 year old he is, was overwhelmed with thoughts about folks in the region. "Mom, what about people that were already poorer . . . how will they rebuild?" "Mom, if businesses burned down, how will people go back to work? How will they make money? How will they survive?" "Mom, what about teachers? It's already hard to be a teacher, but what if their school burned down?" "Mom, how will people breathe again?" 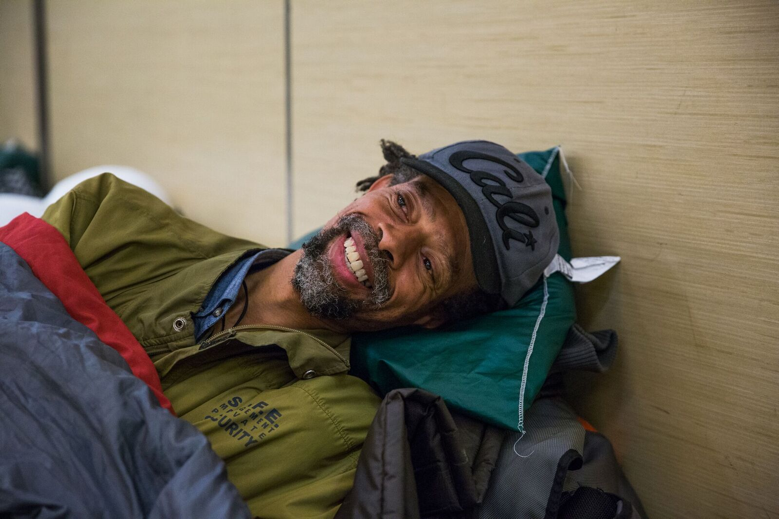 In the middle of this week of worry, I found out that St. Anthony Foundation , an incredible non-profit I used to work at in San Francisco, was opening its emergency shelter for four days to provide breathable space for folks living on the street. The air quality in the Bay Area was so bad, it was a health risk for people to be outdoors. But not everyone has the safety of shelter to protect them. SAF opened the shelter it usually provides during the Winter months to people needing protection from the harmful air. Walt was relieved to hear about this. He has donated to St. Anthony's in the past, has visited many times, and was happy to know a place he loves was helping people he was worried about. As fate would have it, that same day I received an email from GoFundMe asking me if they could feature Walt as a kid hero on their website ,and thanking us for the Pajama Drive Campaign he led a couple years ago. I told Walt about it and a huge smile spread across his face. He said he wanted to do a new campaign . . . this time to somehow help homeless people. He said the fires made him think even more about people who were already homeless, and those who were now newly homeless because of the great loss in the North Bay. We discussed what we could do, and then his 7 year old brilliance showed up. It was like I actually witnessed a lightbulb go on above his head! He told me, "I want to raise money for St. Anthony's because they are already trained with how to help homeless people and they do a good job." He commented that he liked how they opened the shelter for a few days for people to get away from the smoke, and that he wanted to help them run the shelter during the normal Winter Shelter operation. All the money donated to this campaign will go to the operation of the shelter which opens on December 1st. Walt wants to raise "somewhere between 1,000 and 2 million dollars" for the shelter! His dad and I are pretty sure he and his sister can do it! We will keep all donors updated about our progress, share shelter stories, and tell you about our own volunteer experiences. So please visit this page often, and share with your friends! After she finished her homework the other day, Naima brought out her markers and decided to draw pictures of St. Anthony Foundation's Winter Shelter. She told me we could use them to say thank you to all our donors and friends of SAF. She hopes the drawings remind you how awesome the shelter is. The kids are too young to volunteer during shelter hours, so they've never really seen it in action. But Naima's imagining of it is pretty close! The morning after she created her art pieces she explained them to her brother as they got ready for school. Thank YOU for helping St. Anthony Foundation provide safe rest and nutritious meals to their guests . . . just like in Naima's drawings! Wow! Wednesday was an incredible day! 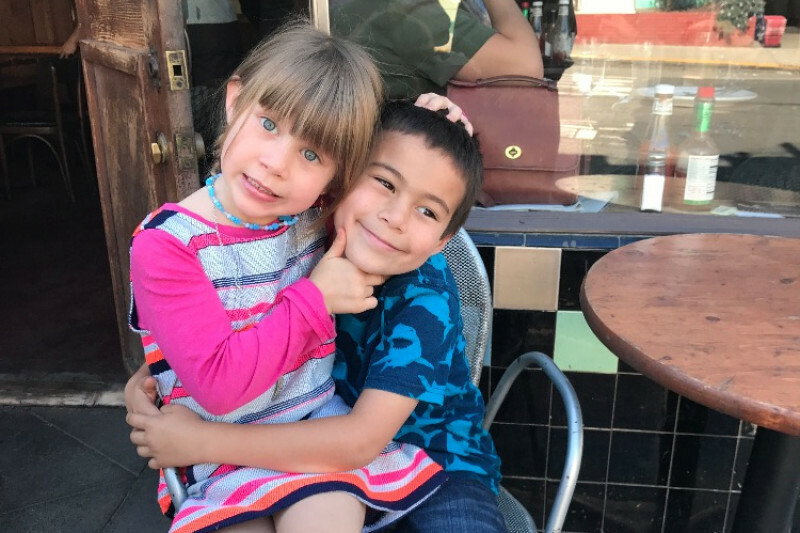 GoFundMe's Meet Walt story and video was released and donors rallied around the kids' campaign in such a generous way. They got home from school and were amazed when I showed them their progress. They loved reading the messages from donors. Walt wanted to send everyone a message of his own before he helped Naima with her homework. Here is Walt's thank you and update video! We appreciate all of you! Walt and Naima were super pumped to watch the Kid Heroes video that was released by GoFundMe last Thursday. Besides getting giddy about Walt's special feature, they were all smiles learning about other Kid Heroes, and the incredible giving back they are doing. We've watched this video at least a dozen times now and love it more each and every time. We hope you will watch this Kid Heroes video, and be inspired to be a hero today with us. I'm typing this from a coffee shop, staring out the window at the falling rain. It's reminding me of just how needed the Winter Shelter at St. Anthony Foundation truly is to our community of folks on the street. The walls and roof provide safe haven from the elements, and the staff and volunteers surely provide warmth and comfort when the day is feeling too grey. While we pray no one catches any colds as the weather changes, we do hope our first donors' generosity and love is contagious! Consider giving today so we can celebrate hitting the $1000 mark this week! Walt is a featured GoFundMe Kid Hero!